German? Hmm, ain't complaining. I just question it. Don't tell me it's due to "Steins" coming from "stein" which means stone...geh. I call assault squad on Kurisu and Okabe. Tech guy on Daru. Obvious medic on Mayuri. Obvious sniper on Moeka (and ... I got this "spy" feeling from her). 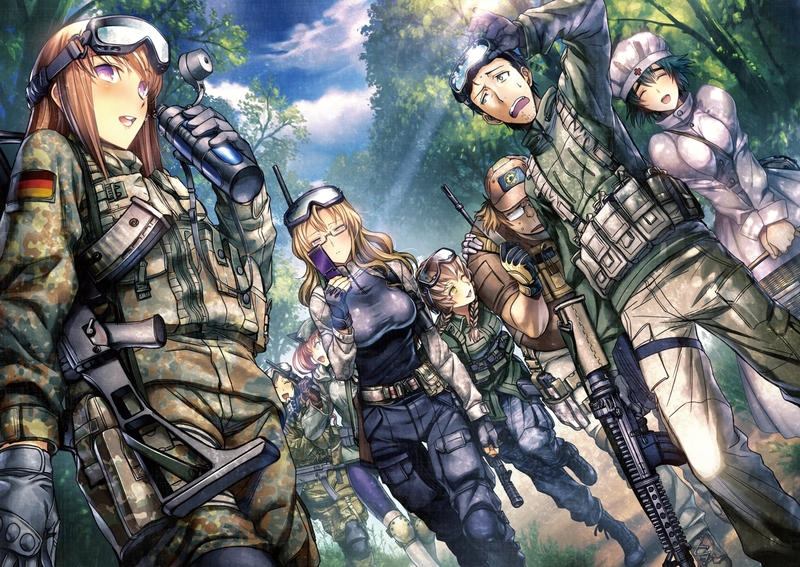 Specialist on Suzuha. Tactician on Rumiho. And Ruka.... ugh, I don't know? Some kind of support, I guess. maybe they join the german army to fight cern. because cenr is in Switzerland witch is close to germany.